30th of September 2017 was no ordinary Saturday for Julian Yee Zhi-Jie as it became one of the many dates which holds a special place in his heart. On that fateful day. 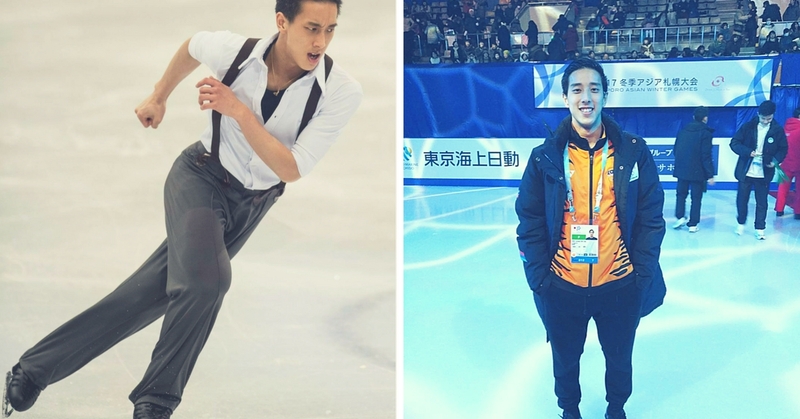 Julian made our nation proud (again) when the 20-year-old SEA GAMES gold medalist secure his very first reputable qualification to the Winter Olympics 2018 which will be held at Pyeongchang, South Korea. There’s actually not much about him that we know but we’ve managed to scrap together 7 things you didn’t know about this lad. He earned an entry to the Malaysian Book of Records for being the youngest to win the Malaysia National Figure Skating Championship Junior Category (Male) at the age of 13, breaking the previous record of Ryan Yee Zhi-Jwen, his brother. It was all thanks to his mother, Irene who introduced skating to he and his brothers. His brothers, Ian, 29 and Ryan, 22 whom were both ex figure skaters and has since retired. By the age of 12, Yee has already mastered his double jumps. “I love experimenting with different cuisines and enjoy food very much,” said Yee in an interview. His love for his pet dog is so great to the point of packing it with him in his suitcase to Germany for the Nebelhorn Trophy (major lol!). Be sure to check out his new YouTube channel @JulianYee for his latest SEA GAMES veelog.